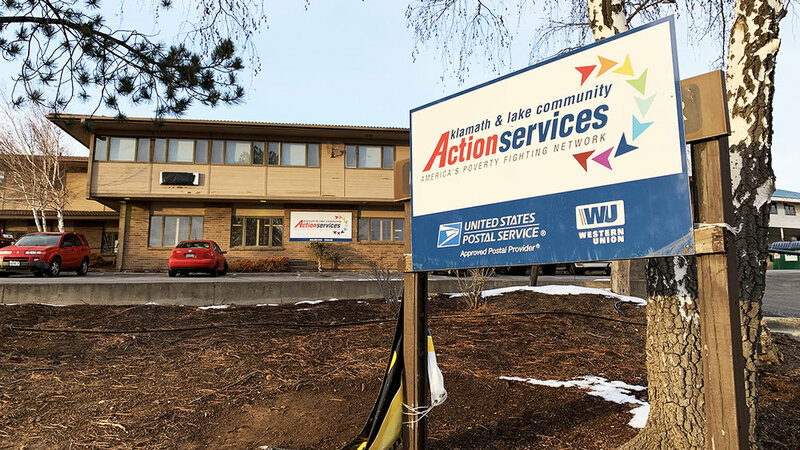 The postal substation co-located and operated with Klamath & Lake Community Action Services on Clairmont Drive near the OIT campus, closed today February 8, 2018. The postal substation was opened in 2014 as a workforce training site, a potential revenue source to support the Klamath & Lake Community Action Services and as a service to the community. In the face of declining revenue, however, the KLCAS board elected to close the site. Klamath Falls area postal customers can continue to receive all postal services from the main post office located at 317 S 7th St, Klamath Falls, OR 97601. A range of other services continue to be provided at the KLCAS office, including energy assistance, housing assistance, home ownership support, support for local families, support for local veterans and a bill-paying service supporting elderly and disabled clients. Postal revenues have been in decline nationwide for some time.Customers mailed 2.1 billion less pieces of mail in 2018 than in 2017, and the United States Postal Service posted a net loss of $3.9 billion. Although mailing of packages has helped to slow the trend of declining revenue, the Postal Service has struggled to find an economic model that works in the age of electronic communication. Christina Zamora, interim Executive Director of Klamath & Lake Community Action Services noted, “The closure of the substation was regrettable, but probably predictable given the larger national trend. Press release provided from Klamath Lake Community Action Services.